For all 561 hotels with family rooms in Budapest, we show actual room availability. Please do not hesitate to get in touch with us (via the contacts below), while booking a children-friendly hotel in Budapest with family rooms. In Budapest, we provide 561 family hotels at affordable rates. 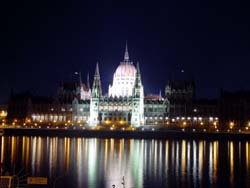 Save your family budget - make your vacation stay with your family in Budapest, Hungary comfortable and cheap.